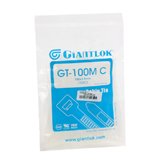 Strap 4 "(100 / Pack). The belt is 4 inches long. Notify me of updates to Strap 4 "(100/Pack).